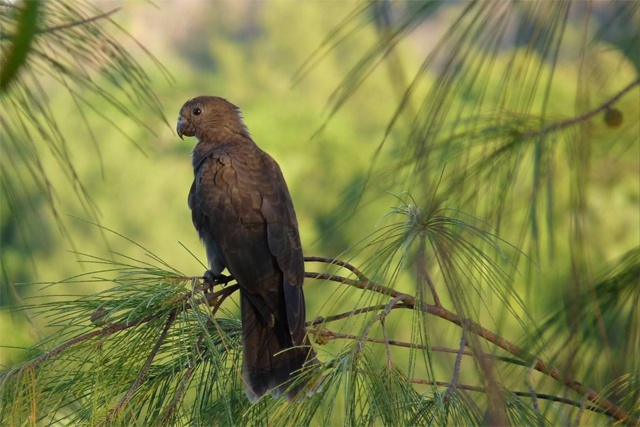 (Seychelles News Agency) - The Seychelles islands' list of endemic bird species stands at thirteen, now that the national bird of the Indian Ocean island nation, the Black Parrot, has been officially recognised as a distinct species, Coracopsis barklyi, by taxonomic experts at Birdlife International, the world's largest nature conservation partnership. In a press statement issued yesterday the Seychelles Islands Foundation (SIF) said the recognition comes after five years of intensive research, adding that it will ensure that the Seychelles Black Parrot receives stronger conservation protection and attention and will safeguard its future. “The conservation and importance of the Black Parrot was never questioned at national level. However, the elevation from a subspecies to a full species will change the international perspective and hopefully provide much needed support for our work here, be it in funding or expertise,” said Dr Frauke Fleischer-Dogley, Chief Executive of the SIF. SIF has worked with international partners precisely genetic researchers at the Durrell Institute of Conservation and Ecology (DICE) in the UK, to study the breeding and ecology of the Seychelles Black Parrot as well as conducting DNA analysis on the samples. All this was necessary to prove that the Seychelles bird is different from other parrot species found in neighbouring Indian Ocean islands. 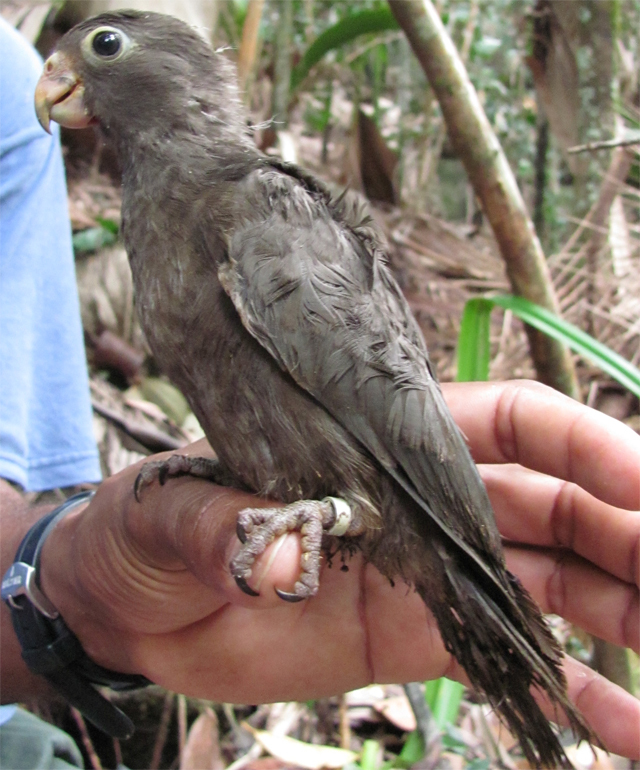 According to the SIF, the Seychelles Black Parrot which is part of a small group of parrots (Coracopsis sp.) found only in the Western Indian Ocean was previously considered a sub-species of the Lesser Vasa Parrot (Coracopsis nigra), with three other sub-species occurring in Madagascar and the Comoros. “I am extremely pleased that the national bird of our country is finally recognised as a full species (…) I would also have liked for it to be called praslinii in recognition of the contributions of the people of Praslin towards its conservation,” commented the Seychelles Minister for Environment and Energy, Professor Rolph Payet according to the press statement. Praslin, the second most populated island of the Seychelles, is home to the entire Black Parrot population which is about 520–900. The island is renowned for its UNESCO world heritage site of Vallee de Mai where grows the biggest seed in the world, the coco-de mer, another emblem of the Seychelles. It provides the perfect breeding and nesting grounds for the Black Parrot with its endemic palm forests. The Vallee de Mai was considered by some in Britain in the 19th century as the original Garden of Eden of the book of Genesis of the Old Testament. The Black Parrot is quite a vulnerable species given its restricted flying range, small population size and limited good quality habitat as well as predators. One of the serious fears of the SIF is the possible migration of the ring-necked parakeet from the main island island of Mahé to Praslin as it could transmit diseases and compete for nesting and feeding sites with the Black Parrots. A project to eradicate the very destructive ring-necked parakeets on Mahe is ongoing as part of efforts to prevent this. “The parrots also face nest predation from introduced species such as rats and mynah birds,” said SIF. In light of those threats, efforts to ensure the conservation of the Seychelles black parrot, are not ending with its recognition as a distinct species. SIF is hopeful that following threat status assessment the bird will soon be listed as ‘Vulnerable to extinction’ on the Red List of the International Union for Conservation of Nature (IUCN) which is used as a global benchmark for conservation recognition of species. Seychelles has 52 percent of its land territory protected under law as nature reserves, making it the most conservation-minded country in the world. Second after Seychelles is New Zealand, which has 30 percent of its territory protected as nature reserves.